Every two years in October, the arid, red-dusted centre of Australia witnesses a speedy procession of rather bizarre vehicles. Small, flat-topped futuristic cars covered in solar panels compete to be the first to get from Darwin in the north all the way to Adelaide in the south, bisecting the continent for over 3000 kilometres. Solar cars have a longer history than one might think. 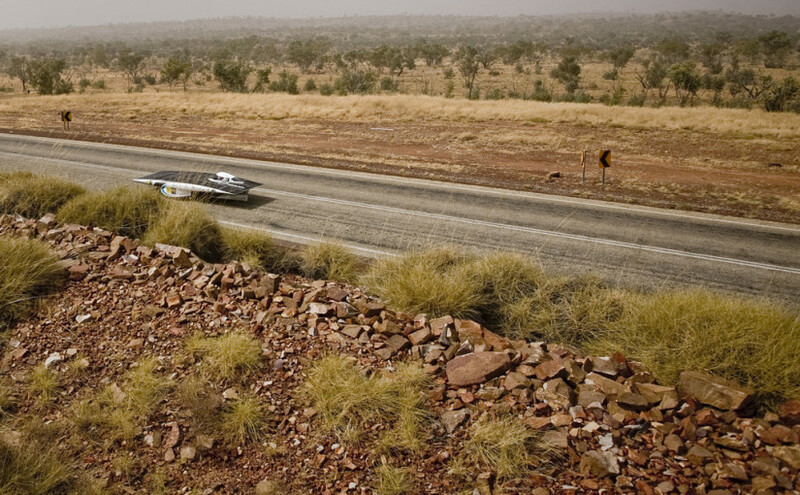 Back in 1983 adventurer Hans Tholstrup teamed up with racer Larry Perkins to drive the very first solar car from Perth to Sydney for an epic total of 4130 kilometres in 20 days. The vehicle he designed was called Quiet Achiever, and can now be found in the National Museum of Australia. Four years later the World Solar Challenge was born – an initiative by Tholstrup to promote research on solar-powered cars. This race will be taking place in October for the 13th time, and much has been achieved by participating corporations and universities over the span of nearly three decades. Research and engineering innovations thanks to this and similar challenges across the world have led to the development of some of the most energy efficient cars in the world, albeit it’s undeniable that a racing car is often a far cry from what we might deem a practical road-ready vehicle. Still, a team from Sydney’s University of New South Wales (UNSW) has changed that. Sunswift’s eVe made headlines last year when it became the world’s fastest electric car. 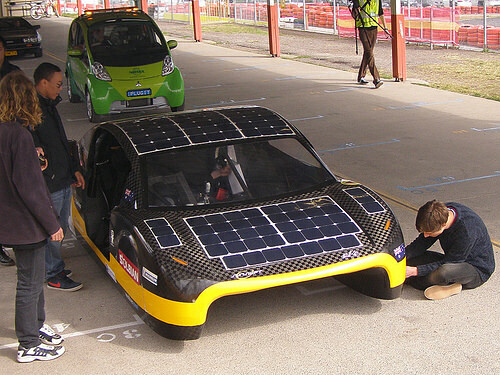 This year it is slated to become the first road legal solar sports car in Australia. You can go read a great story on the colourful history of Sunswift over at UNSW newsroom.